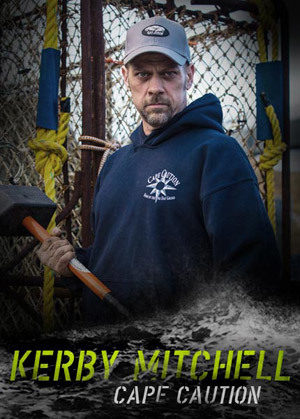 With over 25 years of experience, Kerby will be the Cape Caution's engineer. There may be no one better suited for the job, considering Kerby was captain of the boat last year. Bill and he have been friends for several years but that's not to say there has never been bad blood. During the nineties, Kerby sucker punched one of Bill's employees at the time, resulting in some ill will. Kerby chalks up the feud to living a crabber's life, but he is fully aware that egos could clash between he and Bill.